The Rolling Stones’ frontman Mick Jagger will be undergoing heart surgery following the postponement of their upcoming US tour. As reported by Rolling Stone, Jagger will be receiving a heart valve replacement and is expected to make a full recovery. The Stones’ upcoming No Filter US tour was postponed days ago after Jagger was told he required medical treatment. The North American tour was expected to run between Saturday April 20 and Monday July 29. 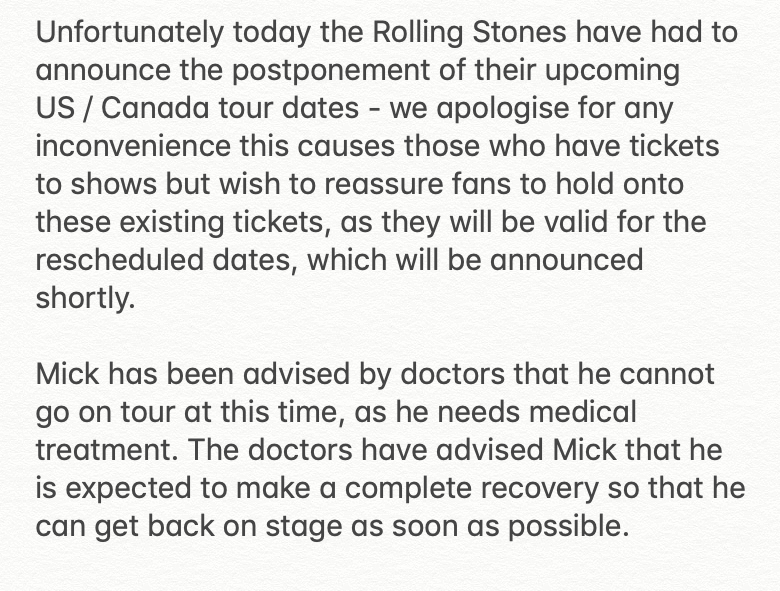 “The doctors have advised Mick that he is expected to make a complete recovery so that he can get back on stage as soon as possible,” a spokesperson said at the time of the announcement.